こんばんは。It’s the first day of Spring! Did yours start off right? 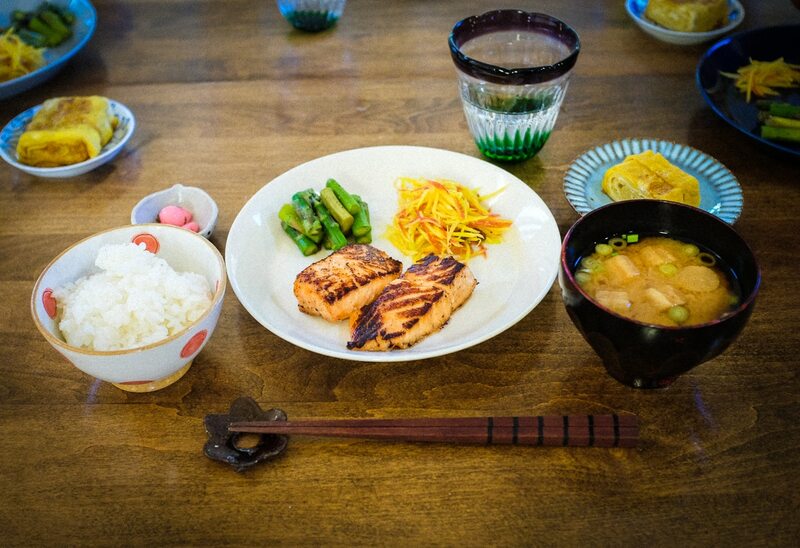 Today Mariko returned from vacation and she made a wonderful dinner of salmon, tamagoyaki, miso soup, carrots, and asparagus. It was delicious, and so much better than the bachelor food we’ve been eating since she was away.